Kawasaki Ninja ZX-10RR prices start at Rs. 16.98 lakh (Ex-Showroom). 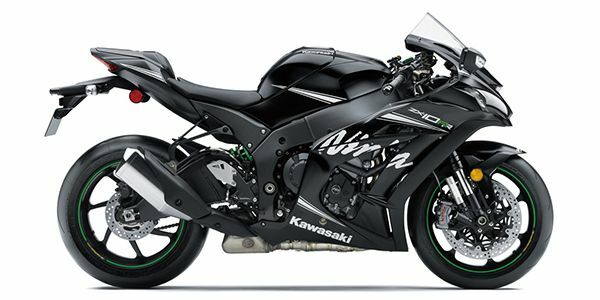 Kawasaki Ninja ZX-10RR is available in 1 variants and 1 colours. Share your experiences with Ninja ZX-10RR? The claimed ARAI mileage for the Kawasaki Ninja ZX-10RR petrol is 12 kmpl. The Ninja ZX-10RR is a more track focussed bike than the Ninja ZX-10R. Thats the reason it does not get a pillion seat. It gets a special Kawasaksi winter Moto GP inspired graphics. It also gets lightweight forged Marchesini wheels that reduce unspring weight. It gets stickier Pirelli Diablo Supercorsa SP tyres for even better grip. Q. Why this is not street legal ? Q. Does the pillion seat from ZX10R compatible with ZX10RR? Q. Can we add pillion seat and rear foot rest on kawasaki ninja zx10rr? Yes, you can add both pillion seat as well as rear foot peg to kawasaki ninja zx10rr. Kawasaki has launched the locally assembled version of the Ninja ZX-10R and ZX-10RR. The switch from selling CBU units to locally assembling them allows Kawasaki to massively drop prices for both bikes. In the case of the Ninja ZX-10RR, it now costs Rs 16.1 lakh which is a Rs 5.8 lakh drop over the previous CBU version. These are however, introductory prices available for the first lot. This move make the Ninjas the most affordable litre class bikes in the country. The in-line four motor retains the same power output as the ZX-10R. It gets a DLC coating on th valve tappets updated cooling system and reinforced internals for race modifications. It also has space inside the head for high lift cams. The gearbox has shorter second to sixth gear ratios for better track performance. The quickshifter also gets clutchless downshifts now. The ZX-10RR was a fantastic track machine and the new revised prices make the deal even sweeter. This is the most affordable litre class track-focussed supedbike you can buy.